When it comes to buying clothes online, I only buy from brands that I have visited in their in-store location. The reason for this is some online retailers are not true to the size of their clothes and also I like to check out the clothes in person to feel the material. I know you all heard of JustFab, the discounted online store of fashionable women's shoes, boots, and handbags. Well there is a FabKids website that you can get stylish children's (girls and boys) outfits at affordable prices. FabKids was founded by ShopStyle founder Andy Moss and actress Christina Applegate. I always wanted to try out their clothing on my daughters but was too afraid the fitting wouldn't be right on them. Glad I had a chance to review their clothes! Take a Short Style Quiz- Create a style profile to help their stylists to get to know you better. Get a Personalized Fabshop- A handpick selection of new FabShop outfits and styles to choose from each month. 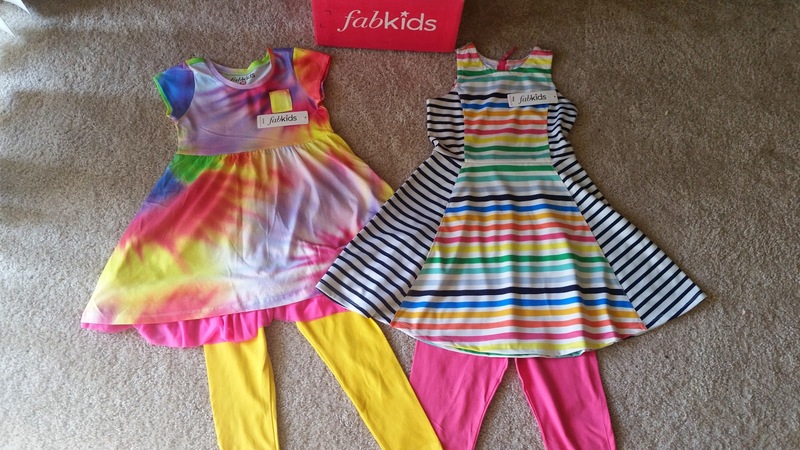 Start Shopping- All FabKids outfits just $29.95. Styles starts at $14.95. Free shipping on all orders over $49 and easy returns. 1. Is your child a boy or a girl? 2. What is your child's name, age, and size? 3. What is your child's favorite color? The first outfit you choose is just $15 plus the shipping is free. Also their gift to the consumer is $10 to spend- awesome! I used Lauren first to answer those questions above and FabKids displayed many different options of very cute colorful clothing. It was hard to choose what outfit I wanted to get her because I loved them all! I added Michelle to the account afterwards and completed the same questions and FabKids revealed the same clothes for her since both of my girls like the same types of clothing. For Lauren, I chosen Summer Stripes Outfit w/Fab Soft Capri Leggings. Both outfits are apart of FabKids Summer collection. I got my order fast in a matter of days. The clothing comes in a cute hot pink box with cute pink star symbols in the inside. My daughters couldn't wait to try on their new outfits and they quickly ripped open the plastic that had the clothing inside and immediately put on their outfits. You can tell by touching the material of the clothes that it is good quality (93% Polyester, 7% Spandex). The clothing is true to the size and very cute and stylish. 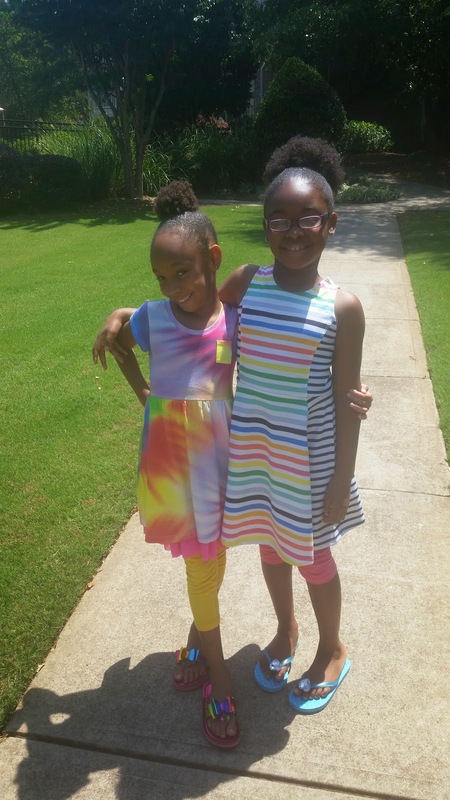 The girls liked how comfortable they felt in their outfits and they felt cute wearing it. While we were out and about, many people stopped us and told the girls how cute they looked in their outfits- the outfits were showstoppers! The girls can also wear their outfits as dresses only instead of wearing them with leggings. I had a chance to wash their outfits and it doesn't fade or shrink. 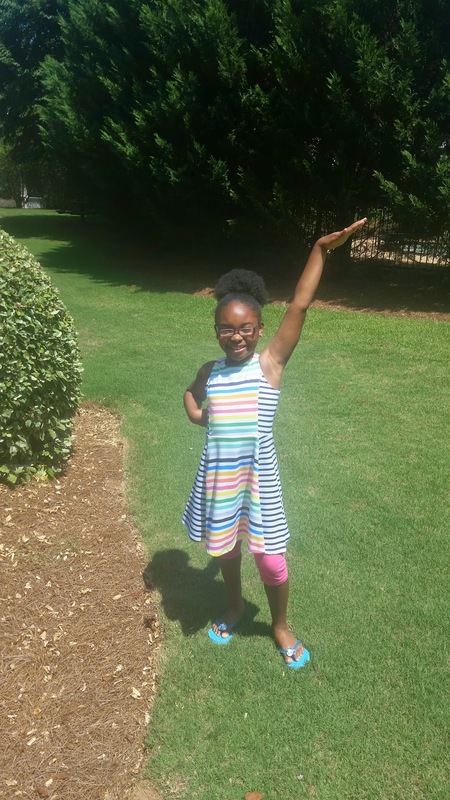 I'm very impressed with FabKids clothing, such high quality cute clothes for a great price! They also have shoes too! FabKids didn't forget about the fellas, they have a Fall Collection as well (click photo for a closer look). Is FabKids Worth a Try? 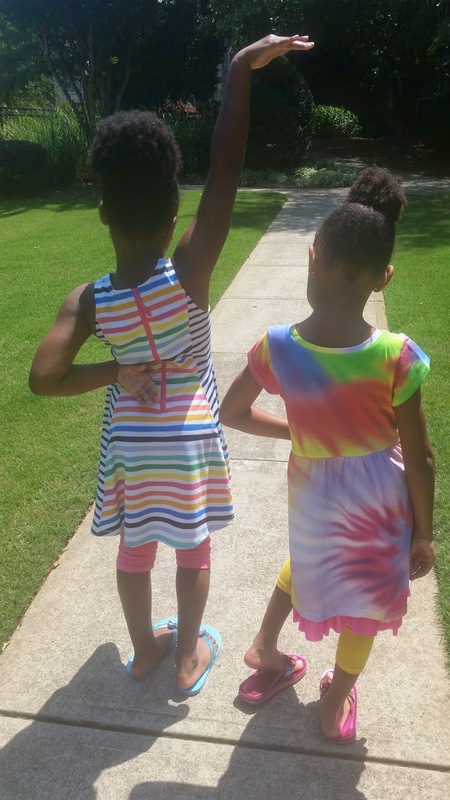 I'm very happy that I had the opportunity to review FabKids outfits because I believe I would had never given them a chance. They are true to their statement of adorable high quality clothes at affordable prices. You won't be disappointed purchasing their clothing for your children and you'll have happy stylish kids strutting down their school's hallways. Have you ever tried FabKids before? Disclosure- I received two outfits free to review. I was not compensated and all opinions are my own. Post contains affiliate links. These are cute! I really like the idea of clothing subscriptions for kids. I do as well Brenda! That is not a bad price and I thought that product sounded familiar. Do like they have included a nice selection for boys. I'm happy they included boy's collection too. I just wonder if the box will come in blue for them? I keep seeing ads for FabKids and I wondering what the clothing was actually like. Great to see your review! 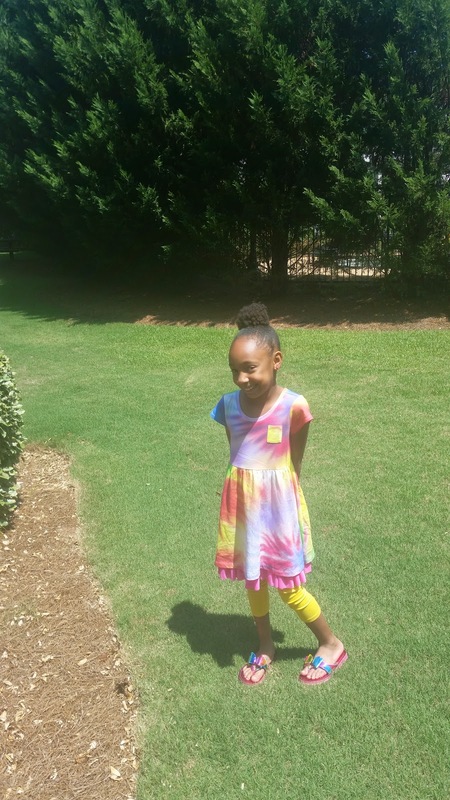 They make some great clothes for kids and I love the quality of their clothes. I have been seeing their ads a lot too and made me curious how their clothes were. Glad I had a chance to review. 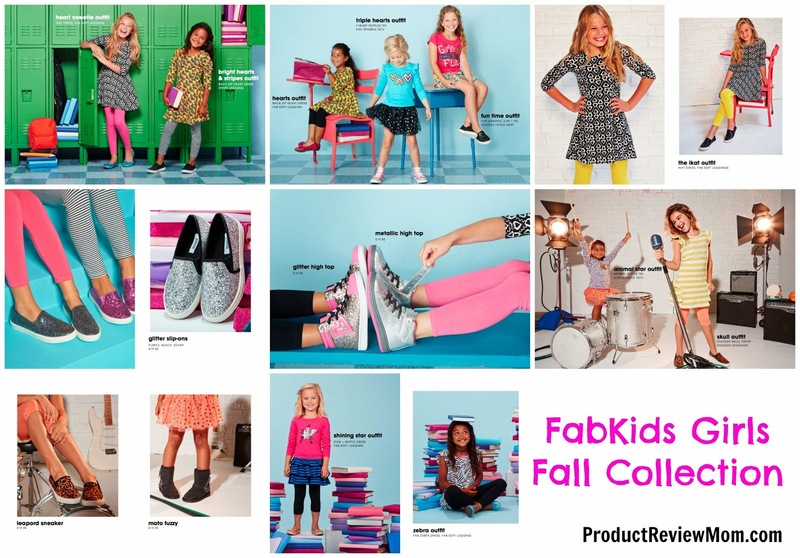 I've seen the JustFab and FabKids brands around the blogasphere. They offer some really cute items. I finally have time to check out JustFab. I never checked out JustFab, but always see the commercials on tv. Those outfits are so cute and your kids look fab in them! I like that they are in the same color scheme, too, because they would be perfect for a photo shoot when you want the kids to be coordinated but not matchy-matchy. Also, I love that the pricing is affordable. I'm going to have to recommend FabKids to others! I love the color scheme also and I was thinking the same thing about these outfits looking great for photo shoots. Definitely recommend FabKids to others Kimberly. 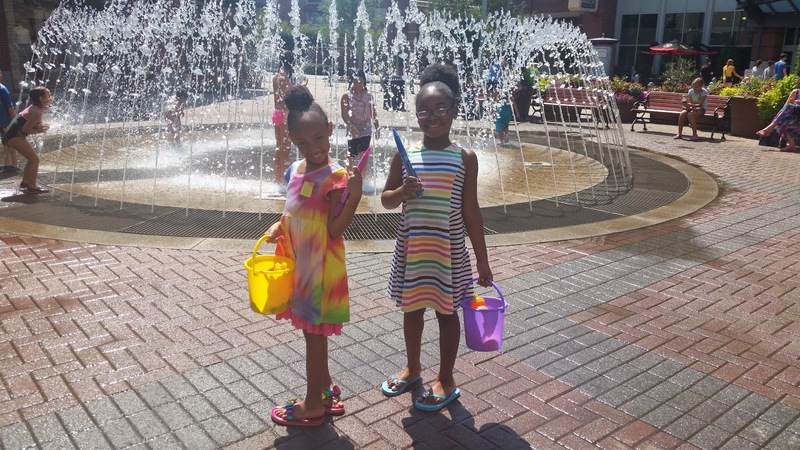 Your daughters are just adorable!! I love the bright colors they sent to you. Thanks for the review! You'll love this brand Leandrea! First outfit is free and you just pay for shipping- great deal!